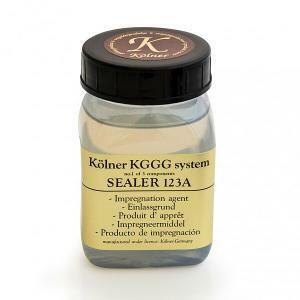 One-layer gilders clay, which replaces the Gesso and Bole layers of the traditional gilding system. 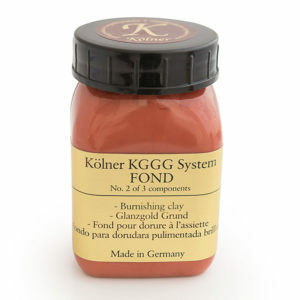 Fond is a water-based burnishable gesso primer for gold, silver and composition leaf. is ideally suited for creation of water gilded and burnished frames, interior architectural elements and furniture ornaments, to achieve a traditional look for less effort. 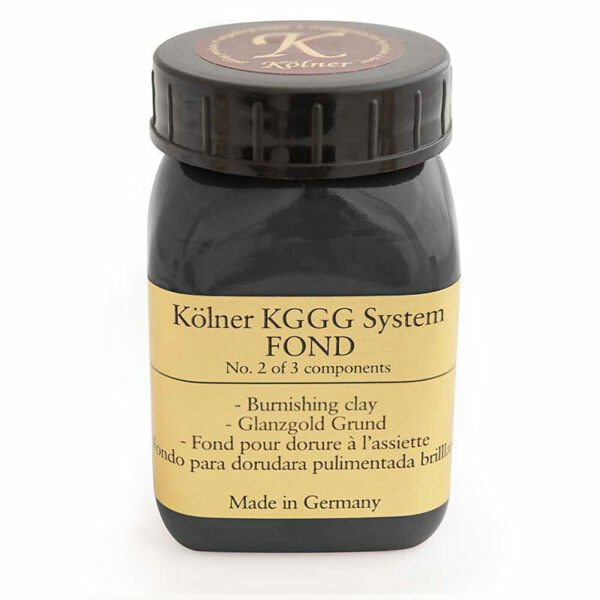 Before you can apply this gesso/clay, you need to seal the surface with a sealer P which is the impregnation agent that provides a better adhesive for the Fond. The Fond must be stirred. Don’t shake, otherwise air bubbles will arise. 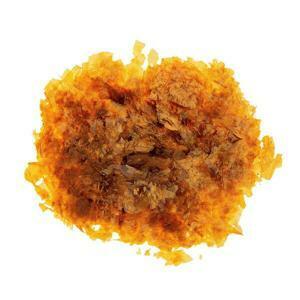 Applied directly in the correct colour without warming the product. Apply 4 to 6 layers, depending on the type of the present reliefs. A dry film thickness of 150 μm must be reached everywhere where later the leaf metal will be burnished. As soon as the last layer has dried, it should be mildly polished with a damp cloth. Afterwards, it is polished with Wool Polishing Pad or a dry cloth until it shines. To achieve bright yellow gold use the yellow colour. To achieve warm gold use the red colour. 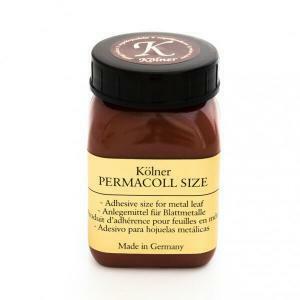 If you are gilding silver, palledium then use the black colour.